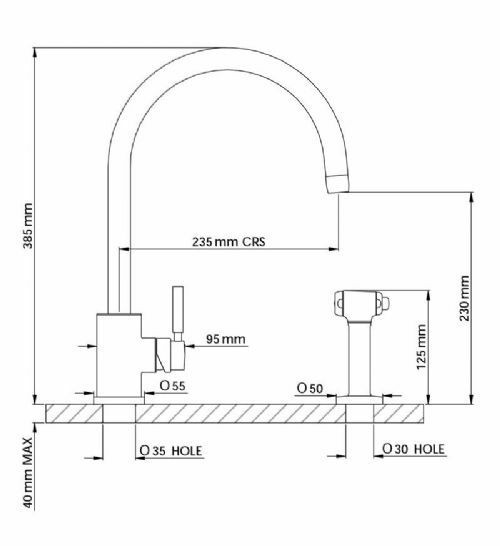 The 4012 Perrin & Rowe Juliet Sink Mixer with 'C' Spout and Rinse is usually available from stock and delivered in 3 - 7 days when specified in Chrome, Nickel and Pewter. 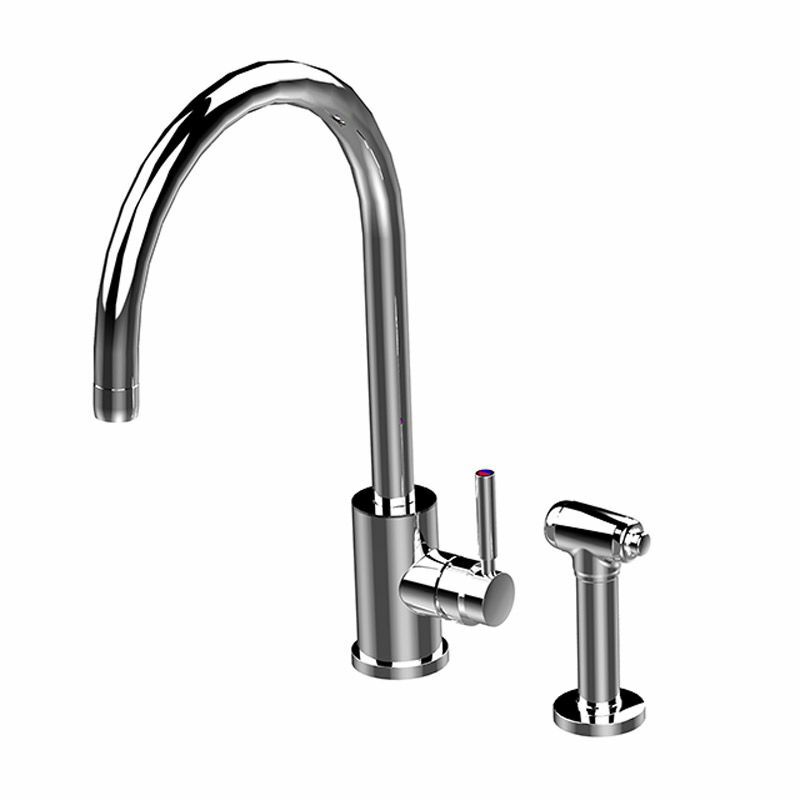 This tap is also available to purchase in a range of other finishes including brass, bronze and gold finishes. Easy to use and versatile, the rinses can be positioned to the left or the right of the sink. They have insulated handles and a flexible hose (standard length 120cm) ensuring safety and convenience. Hot, cold or mixed water is diverted to the rinse once the top button is pressed.